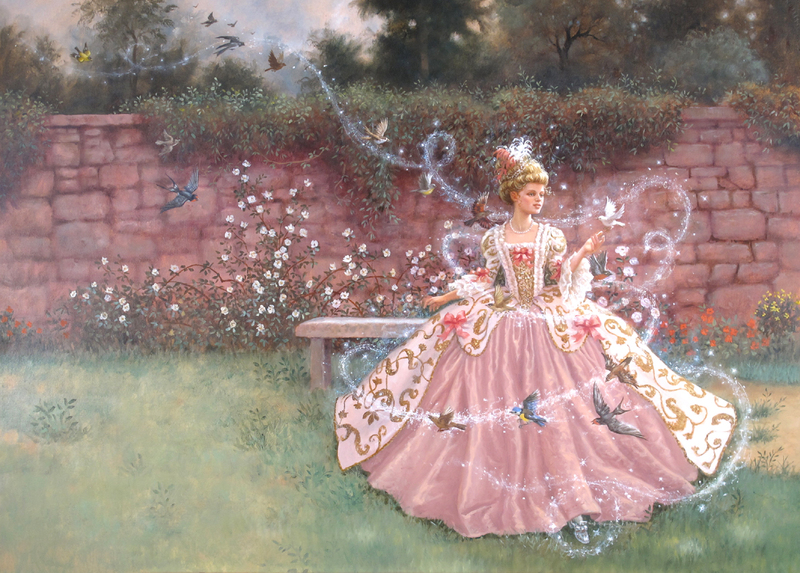 Born in the small town of Monson, Massachusetts, Ruth Sanderson (b.1951) has been a professional illustrator since 1975, with over eighty published children’s books, in addition to illustrated book covers, fantasy art, collector’s plates, animation concept art, and product design. She teaches writing and illustrating for children in a summer graduate program at Hollins University, in Roanoke, Virginia, and is a longtime member of the Society of Children’s Book Writers and Illustrators. Growing up in Monson, Sanderson enjoyed playing in the woods and an abandoned theme park, where her imagination came to life (her original fairytale, The Enchanted Wood, in great part was an homage to her love of the Monson woods). She also enjoyed visiting the library and reading such books as the Black Stallion series; one of her most treasured possessions was a copy of Grimm’s Fairytales, which she read many times over. Sanderson’s love for stories fed into another passion—drawing and painting. 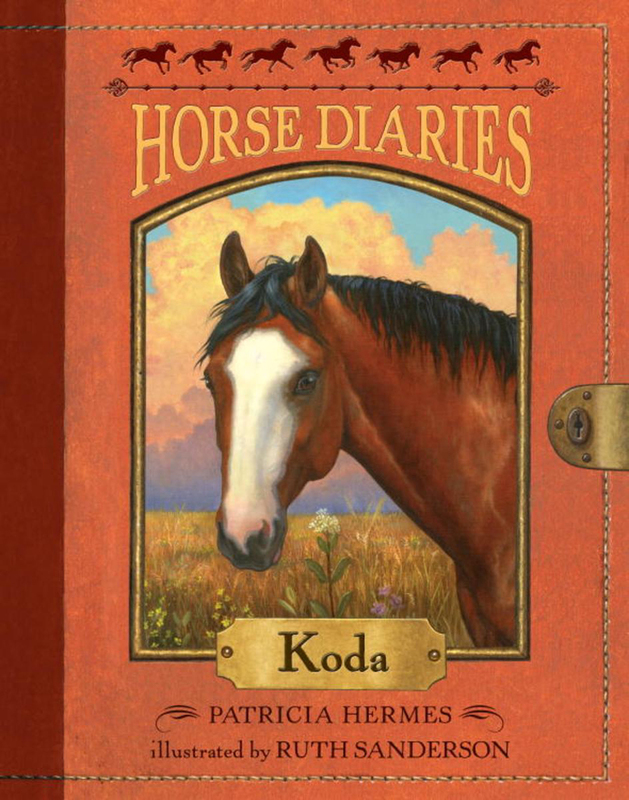 She remembers drawing images of horses since she was very young. At the age of thirteen, the artist’s parents bought her a horse of her own, which she enjoyed trail riding during her teenage years. It was at this time she also decided to pursue a career in art. After spending a year at a liberal arts college where the art courses were all abstract, she transferred to the Paier School of Art in Connecticut, taking a combination of traditional drawing and painting courses and commercial art. After graduation, she began a career as an illustrator, creating art for textbooks and covers, including the Black Stallion and Nancy Drew series, which she enjoyed as a child. Sanderson’s “big break” was the assignment to illustrate an edition of Heidi with one hundred full-color paintings, created in oils. She went on to illustrate The Secret Garden, The Sleeping Beauty, and The Twelve Dancing Princesses, which was published in 1990 after a year and a half of work. Other fantasy books followed, including The Enchanted Wood; The Crystal Mountain; Cinderella; The Golden Mare, The Firebird, and the Magic Ring; and Goldilocks. 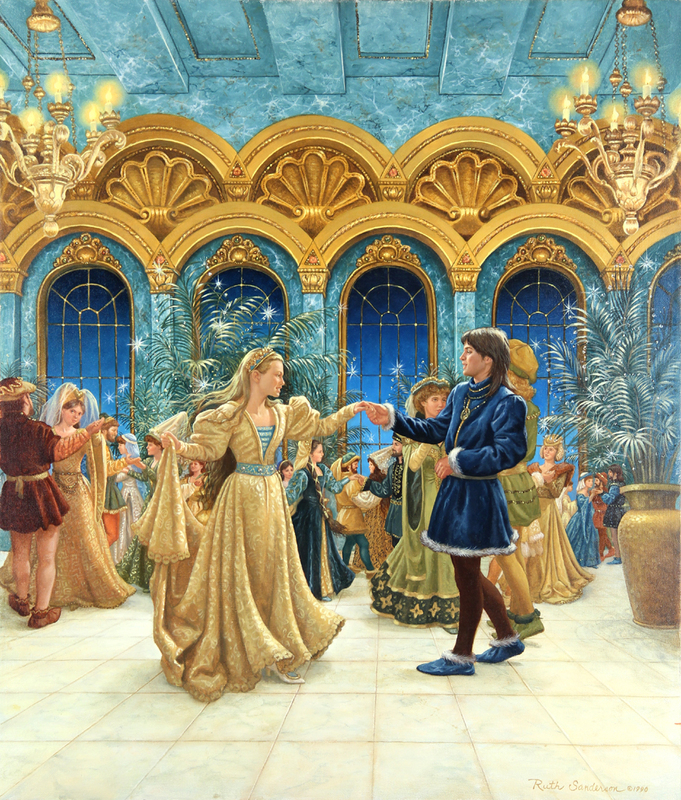 Sanderson's work was exhibited in Dancing Princesses: The Fairy Tale Art of Ruth Sanderson, an exhibition organized by the Norman Rockwell Museum and on view there from December 7, 2013 through March 14, 2014. Sanderson, Ruth. A Castle Full of Cats. New York: Random House, 2015. Sanderson, Ruth. The Crystal Mountain. Boston, MA: Little, Brown and Company, 1999. Sanderson, Ruth. The Enchanted Wood. Boston, MA: Little, Brown and Company, 1991. Sanderson, Ruth. 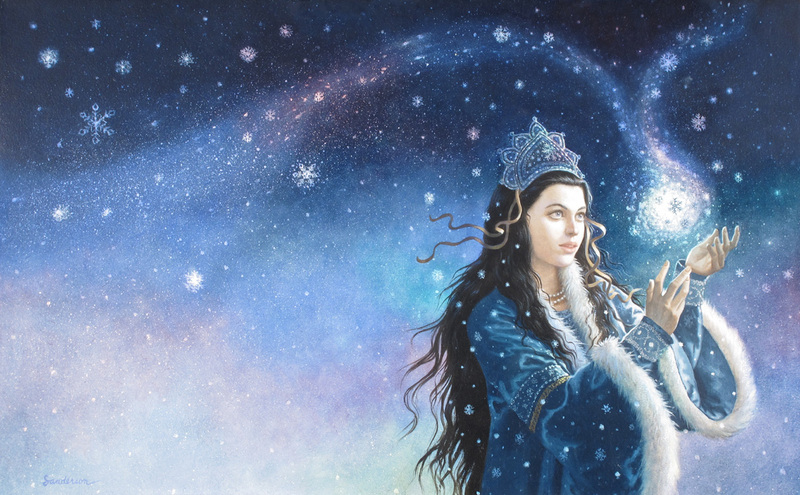 The Snow Princess. Boston, MA: Little, Brown and Company, 2004. Sanderson, Ruth. The Twelve Dancing Princesses. Boston, MA: Little, Brown and Company, 1990. Sanderson, Ruth and Jane Yolen. 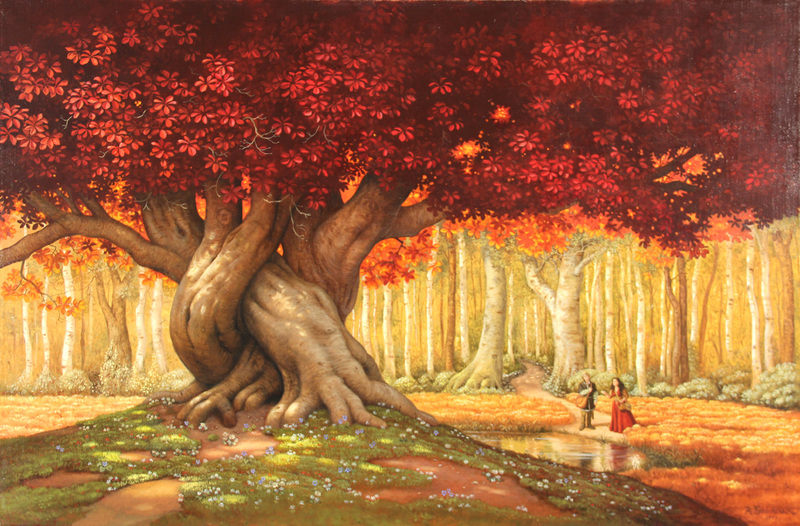 Golden Dreams: The Art of Ruth Sanderson. Easthampton, MA: Golden Wood Studio, 2013.